At Consider The Sauce HQ, we figure if we ever went completely meat-free, our diet would be based mostly around the foods of the Mediterranean – African, European, Middle-Eastern. Yes, we are cynical about such stuff. Some of that is down to probably unfair baggage and previous bad experiences, including some with vego slop right here in the west. Why have any truck with such food when the various national cuisines deliver meat-free food so effortlessly and with such delicious panache? 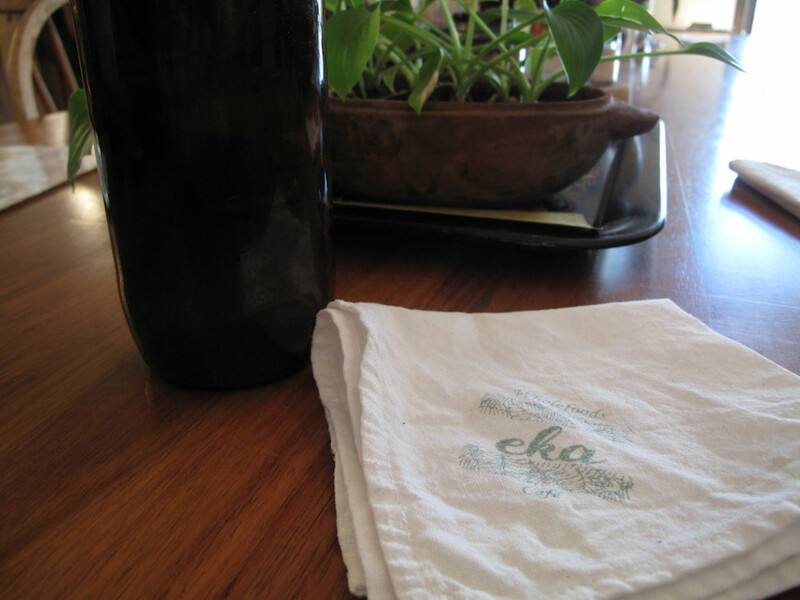 No doubt that’s why we’ve gone so long without trying Eka Wholefoods. And why, after ordering, we are a mix of anticipation and crossed fingers. We need not have had any fears, as what we lunch on is very fine. 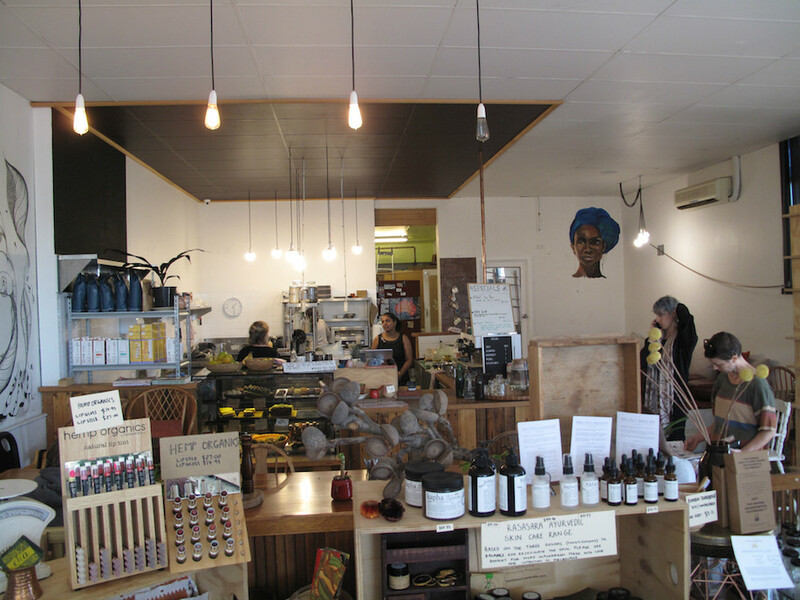 The joint is the expected mix of one half wholefoods of many kinds and one half gorgeous cafe, a tranquil space in which we enjoy stopping for a while. 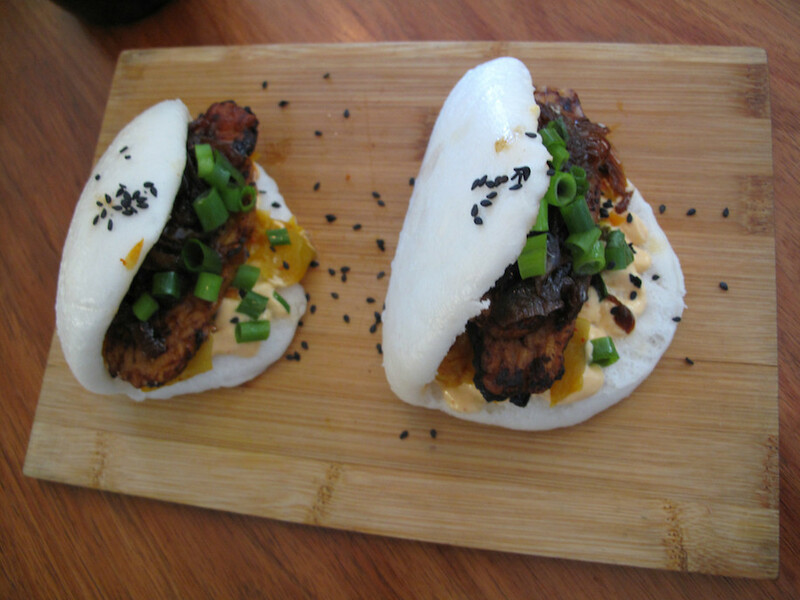 Bennie loves his bao tempeh sliders ($12.9). The crispy but seemingly rather salty tempeh dances with organic kimchi, house-made peri-peri sauce, grilled shitake mushrooms and caramelised onion. This pretty food goes down a treat. My soba noodle salad ($16.50) is even better. 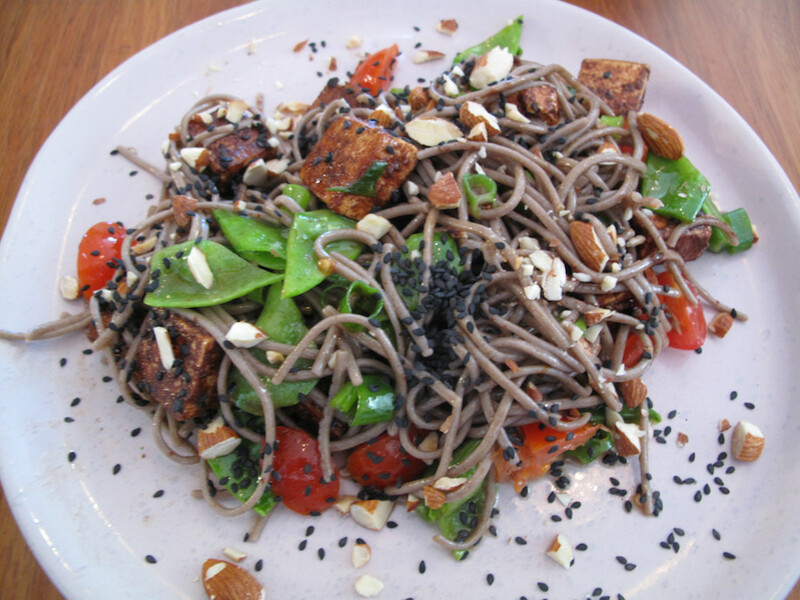 Joining the organic noodles are cherry tomatoes, chopped toasted almonds, black sesame seeds, cinnamon-crusted organic tofu and a sesame-lemon dressing. This salad is expertly done and a pleasure to consume. We depart without trying the good-looking range of sweet treats but with some brown rice and tamari in hand. It’s been wonderful to have our skepticism so wonderfully rendered daft. Check out the Eka website here. Hi Sharon and thanks for commenting! I’ll take that on board. 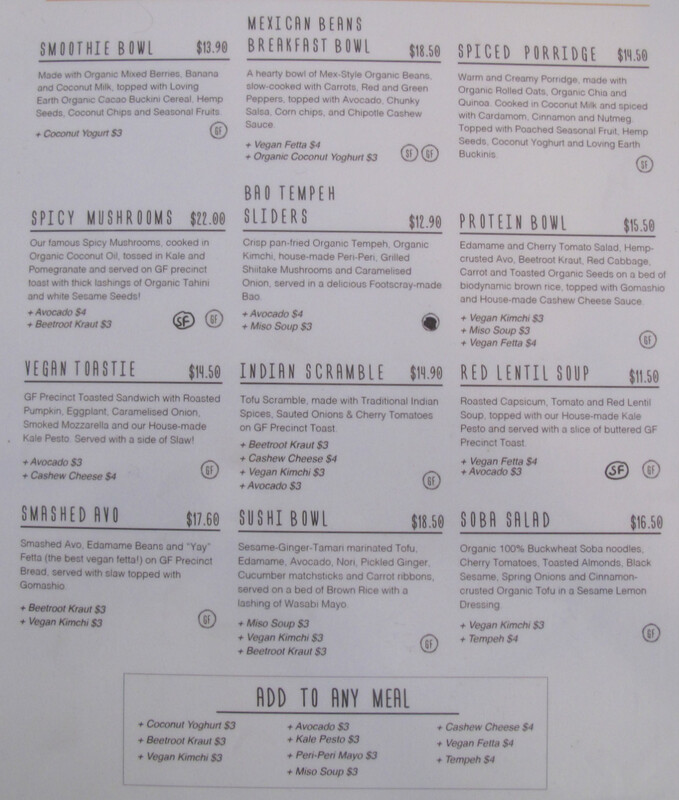 But I actually think we cover quite a lot of non-meat food – but it’s mostly the veg options of places that otherwise do serve meat e.g. eateries of the Indian, Sri Lankan, Greek, Ethiopian variety and many more. In fact, I’d say we cover more vegetarian food than most Melbourne non-specialist vego food blogs. Though in many or even most cases, that would involve veg dishes in meals that also include meat. As for “vegetarian food” as a genre, well as I make clear above, yes I have some bias in that regard. But I make no apologies for that – slop is slop and there are no excuses. 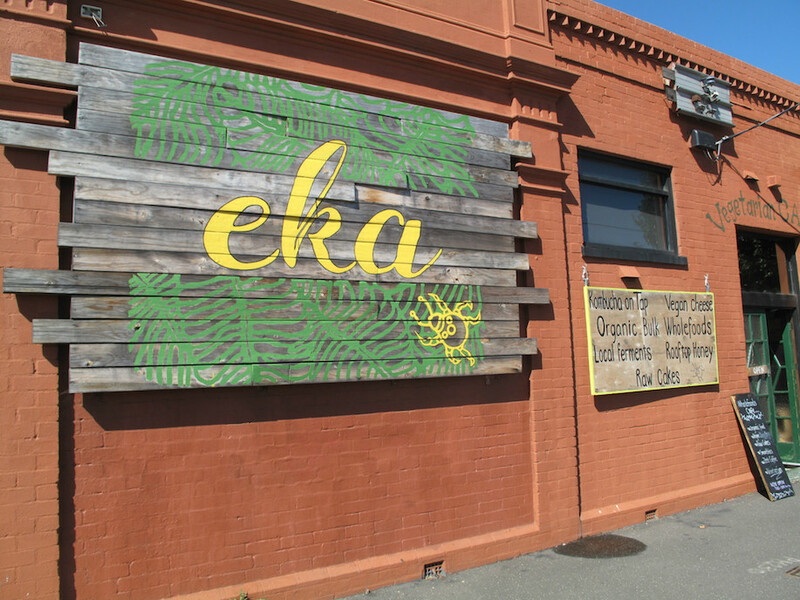 I wish more dedicated veg places took as much care as Eka! And I have a review of One For The Crow coming up! I suspect if we became more of the like the blog would you like to see, we’d stop being so much ourselves. But to repeat – for us, the best vegetarian food is mostly served by non-vegetarian ethnic cuisine eateries. On the other hand, there are plenty of blogs and sites that DO cater to your interests – though not so much in the western suburbs. Thank you so much! We are working very hard to create diverse and delicious options for people of all tastes. Hope to see you again!